Ponmudi which is located at a distance of approximately 60 km from Trivandrum is one of the main tourist spots in the district. This hill station is many times referred as local Ooty of Trivandrum and is at a height of nearly 3000 feet from the sea level. This contributes to the cool climate here. The way to Ponmudi itself offers magnificent pictures of nature’s beauty and the views of mountains are really enticing. You can experience the calmness in local villages here and the natural springs, vivacious singing birds, flickering butterflies and vast tea plantations sprinkled with small pretty cottages are doubtlessly a feast to the eyes. The Travancore kings were the very first to build rest houses here. It was built for their summer retreat and only those from the royal family were allowed to stay there. 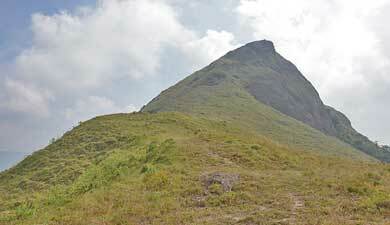 There are a lot of sightseeing places here availing leverage to the scope of Ponmudi tourism. A vast variety of orchids decorating the landscape is one of the main attractions. You can also enjoy the scenic allure of carefully maintained plantations like rubber, pepper tea, cardamom etc. The invigorating rubber milk streaming out from rubber trees dropping into coconut shells is a common sight here. In almost every house here you can see plentiful rubber mats hanging. 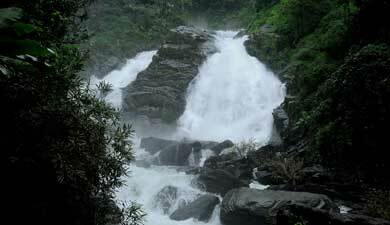 Meenmutty falls is one of the most sought tourist destination here in Ponmudi. This is located at a distance of nearly 45 km from Trivandrum city centre. The waterfall is just 3 km away from the Kallar main road. Numerous small natural pools are peppered near to this magnificent waterfall. Reaching the place itself is a great pleasure as you have to take long trekking through the dense but beautiful forests. Special permission has to be obtained from the concerned Forest Department for this. You will get all necessary facilities for trekking purposes at Kallar. One of the most popular wildlife reserves in the region is Agastyamalai Biosphere Reserve. The reserve comes under Man and Biosphere Programme initiated by UNESCO. The biosphere reserve envelops an entire area of 1700 sq km approximately and the reserve covers the forest region comprising areas of Peppara, Shendumey and Neyyar Wildlife Sanctuaries. Also Achenkoil, Konni, Punalur, Thenamala, Agastyavanam Special Division and Trivandrum divisions are included. 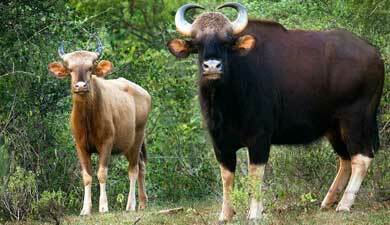 Peppara Wildlife Sanctuary has a total 53 sq km area in the Western Ghats region. The sanctuary came into existence in 1938 and the popularity of Peppara Wildlife Sanctuary attributes to the thick forest covering the region. Wide varieties of fauna can be seen here which include several wild animals such as Asian elephants, leopards, lion-tailed macaques, sambar and much more. The sanctuary is also home for some of the rare species of birds like white-bellied tree-pie, Malabar-grey hornbills and sun birds etc. Shendumey Wildlife Sanctuary is believed to have received its name from the local tree Chenkurinji or Gluta Travancoria which is found in abundance here. The most highlighted feature of this sanctuary is a 26 sq km artificial lake running across the rivers of Shendurney and Kulathupuzha. As the sanctuary is located on hillocks, you will find that the attitude of entire area vary a lot ranging from 100m to 1550m Alwarkurichi peak. The sanctuary has a lot of rare fauna and flora. The land of Shendurney wildlife sanctuary is supplemented with reed brakes, semi-evergreen forests, mixed-deciduous forests, swamps, grasslands and tropical-evergreen forests. Wide variety of rare amphibians, mammals, reptiles, birds, butterflies and fishes can be seen here. Neyyar Wildlife Sanctuary which is one of popular picnic spots is a depot of some rarest medical herbs. The lake which was formed by the picturesque dam has the bluest of waters making it compelling for the tourists to go for boating. You can different fauna varieties including Tiger, Leopard, Asian Elephant and Slender Loris. Reptiles such as Travancore Tortoise, King Cobra etc can also be seen here. The lion & deer Safari Park and a breeding centre of crocodile in the premises of dam would be very interesting to see. You may also visit an elephant rehabilitation centre which is situated 7 km up the road. Ponumudi is one of ideal places for trekking due to the presence of immense landscape blessed with remarkable forests and mountains. Varayattumotta is a place which can be chosen for trekking trails and 3 hours will be needed to reach here from Ponmudi which would be a great experience. 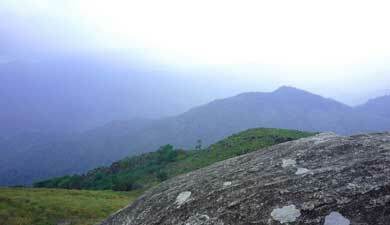 Other attractions drawing tourists to Ponmudi are mist-laden valleys and bright coloured stone and wood cottages. Deer Park which is a home for different type of deer is a must watch place in Ponmudi. The only issue when it comes to Ponmudi tourism is the limitations in accommodation facilities. However the availability of few guest houses and cottages from the Tourism Department alleviates this concern to a great extent. The tourists wishing to get accommodation here should reserve their beds in advance. You will have to pay rent for your stay here. 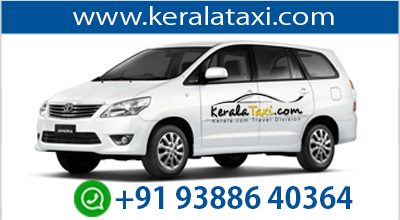 However the employees of Kerala Government and other state employees get some discounts. Ponmudi has tropical weather and the climate stay pleasant almost all over the year. During summer which starts in March and continues till May, temperature here is mild thus making tourism highly favourable during this period of the year. Tourism is at peak during this time as the temperature ranges from 21°C to 34°C and this is the ideal season for trekking. Here there is extensive rainfall in Monsoon and it is not advisable to visit the place during monsoon. Roads here will not be in proper condition during monsoon season because of heavy rainfall. The period is not suited for trekking activities as well, and hence if you love trekking, better avoid the months from November to May. The months from November to February are very cold and the temperature ranges from 15°C to 24°C. Temperature drops rapidly at night and those who visit the place during this time must bring proper winter clothing. The best season to visit Ponmudi is summer and the ideal months are October to March. You can also visit another tourist place, Braimore near to it if you have more time to spend. With well connected roads and proper transportation facilities, reaching Ponmudi is not that much difficult even though the journey towards Ponmudi is somewhat adventurous. The roads to the place are narrow and there are nearly 22 hairpin curves beginning from Vithura. So, it is always advisable to hire only the professionals who are skilled and experienced in driving through such routes. Also assure that the vehicles are in good condition. One of the most thrilling facts about the journey to Ponmudi is that you will be travelling through the roads exposed to superb natural backgrounds.